Looking to get swept away with the leaves in Northeast Indiana? Plan to enjoy the fall foliage between late September to mid/late October (depending on weather, of course). We invited a few of our friends to share their perspective on where to find the best fall colors near Fort Wayne, Indiana. Follow this guide or build your own adventure with some of the best spots to see fall foliage in Fort Wayne. According to ACRES Land Trust, you don’t have to go far to find gold this fall. Local nature preserves are the perfect place to immerse yourself in shades of bright yellow, ruby, garnet, and emerald. No shovel required! 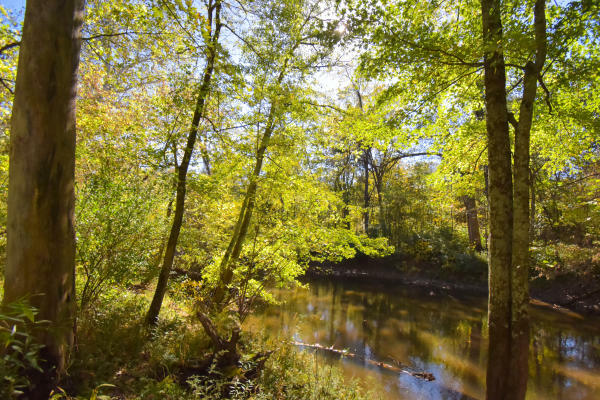 This preserve features approximately two miles of trails on 90 forever-protected acres of land, part of the 1,000-acres-and-growing Cedar Creek Corridor project. Stop by the ACRES Land Trust headquarters, also located on the preserve, to purchase branded gear, preserve guides, and even become a member. Office hours are typically 9 am - 4 pm, Monday through Friday, though the preserve is dawn-to-dusk seven days a week. Happy Trails! 8401 Union Chapel Rd. and 7324 Yohne Rd. Stop by one of our County Parks like Metea County Park, a great destination to see a variety of fall colors. Keep an eye out for orange and red maples, deep red oaks, yellow tulip trees, locusts and cottonwoods, large brown sycamore leaves, bright red sumacs and Virginia creeper, sweetgums and a few remaining ashes with colors. Make your way to Fox Island, a favorite of photographers. Walk through the woods to experience the trees up close, but for the best view make sure you walk out of the prairie and look back to the forested areas where you can really see the best fall colors. 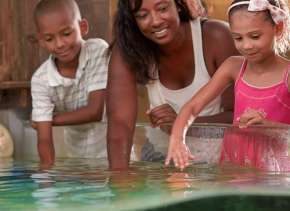 Recommendations provided by Allen County Parks. With over 100 miles of trails in Fort Wayne, there are some great fall bike ride or hike routes. 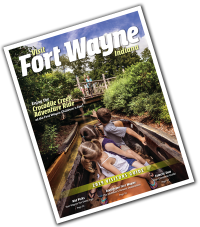 Plus, many of Fort Wayne’s trails, including the Rivergreenway travel along Fort Wayne’s riverfront providing beautiful natural river landscapes. For early fall color change, take the Towpath Trailhead near Eagle Marsh for sunflowers and wetland vistas. Grab your bike for a ride along the St. Joseph River just past the State Blvd Bridget along to Johnny Appleseed Park. Head to the north trail network from Cook Road to Wallen Road to enjoy Maple Trees in valley areas, which are particularly beautiful late September to the end of October. For late fall colors, the Rivergreenway is a great destination including the St. Joseph Pathway connecting Shoaff Park and Johnny Appleseed Park; the St. Marys Pathway connecting Tillman Park to Swinney Park; and the Maumee Pathway connecting North Anthony Blvd to Moser Park. On these paths, you’ll find a variety of trees including Oaks, Ash, Hickories, Sycamores, Cottonwoods, Basswood and more. And, don&apos;t forget about the Native Trees River Walk located on the Purdue Fort Wayne Campus. As you walk along the St. Joseph river you&apos;ll see over 100 tree species native to Indiana. 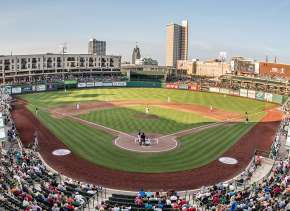 Recommendations provided by Fort Wayne Parks and Recreation and Fort Wayne Trails. For a true hidden gem, located just outside of downtown Fort Wayne sits Lindenwood Nature Preserve. A 110-acre wilderness featuring 4 hiking trails and a pond, Lindenwood Nature Preserve offers great reflecting tree photos, wildlife viewing and picnicking. 333 S. Clinton Street, the 700-1300 Block of Washington Blvd., and 1400-700 Block of Jefferson Blvd. Fort Wayne also offers great fall drives if you only have a little time for exploration. 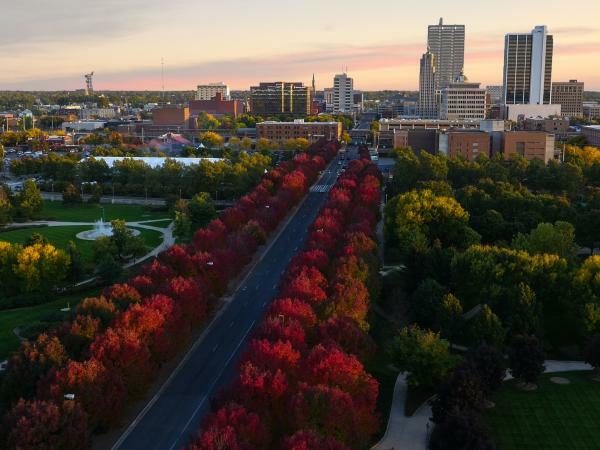 Make your way into downtown Fort Wayne via Clinton and the Martin Luther King Jr. Bridge for a spectacular view of the Ash Trees in Headwaters Park lining the road. If you have time, hop out of the car to walk through Headwaters Park and enjoy a nature in an urban destination. Just west of downtown Fort Wayne is the historic West Central neighborhood featuring beautiful fall colors along Washington Blvd. heading west, and Jefferson Blvd. heading east into downtown Fort Wayne. 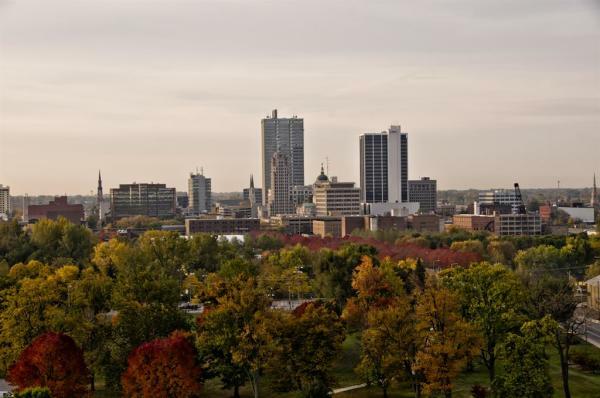 There are plenty of other drives in Fort Wayne that offer spectacular views of fall foliage! Of course, the timing and intensity of the fall leaves will depend on the weather. 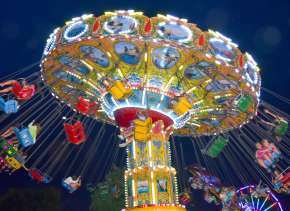 Warm fall days result in brighter colors, and an early freeze could cut the season short. Peak fall foliage most likely occurs early to mid-October says Bob Dispenza, Allen County Parks Park and Education Manager. Keep in mind the species of trees will also determine what fall colors you can see in Fort Wayne, Indiana. According to Jeff Baxter, Allen County Parks Superintendent, maples are great since they show a wide range of colors including Orange-red Sugar Maples, Glowing Yellow Black Maples, Bright Scarlet Red Maples, and Muted Green Silver Maples. Other varieties include brown or russet Oaks, golden bronze Hickories, bright yellow Birch trees, purple-red Dogwoods, golden yellow Poplars, orange Sassafras, and red Tupelos.